We realize websites tailored, powerful and evolutive thanks to powerful tools. The price of a basic site does not cost more than 350 € and is quickly updated by the user and can also be supplemented by a lot of options (e-commerce, forum, multilingual, calendar management , etc.). Do not hesitate to contact David for a free estimate at 06.17.08.19.84. You just want a presence? 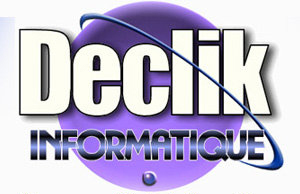 This Directory is in constant connection with Facebook : Click HERE to discover the directory. Need a Quality Host?Click here.